It's your chance to #weartherunway at the 8th Annual FashionEASTa: The Fashion Show! On Saturday, April 27th 2019, join us in Harbor East for one stylish afternoon filled with fashion, music, food and good vibes. FashionEASTa features all the spring and summer looks your closet is craving, straight from Harbor East's most coveted shops and boutiques. With cocktails aplenty, sales galore, and Baltimore's biggest runway show, you'll want to mark your calendars for FashionEASTa! Join us for our annual celebration of all things style. From 12pm - 5pm enjoy live music by Funsho from NBC's "The Voice" and Jon Boesche from MIX 106.5, street-side cocktails and bites from Harbor East restaurants, shopping events and sales to swoon over. The FashionEASTa Fashion Show kicks off at 2:30pm with hosts Reagan & Bethany from MIX 106.5 and a special appearance by the Ravens' Matthew Judon, bringing audiences the hottest spring and summer looks from Harbor East shops direct to the runway. FashionEASTa 2019 will feature looks from South Moon Under, Bonobos, Free People, Under Armour Brand House, White House/Black Market, Modern Trousseau, Allen Edmonds, Charm City Run, Sassanova, lululemon, J.Crew and Anthropologie! FashionEASTa features makeup by MAC Cosmetics and hair by Salon 8736. Tickets are on sale now - early bird prices are good through February 28. Please note there are NO onsite tickets available. Let's get this party started! Groove to a live set by Funsho from NBC's "The Voice" from 12-2PM while you shop sales & specials, sip on cocktails, mix & mingle. Enjoy music by DJ Jon Boesche during the FashionEASTa Fashion Show and until the event wraps! Food and beverage vendors include BIN 604 Wine Sellers, Roy's Baltimore, Gordon Biersch, Fleming's Prime Steakhouse, Apropoe's, Lebanese Taverna and The Oceanaire. Plus get pampered at The Spa at the Four Seasons' Hotel moveable mani-cart, offering discounted min-manicures and Lush Cosmetic's on-site massage demo booth. Calling all FashionEASTas for an Open Model Casting for the FashionEASTa Fashion Show. Join us on Tuesday, March 26th from 12pm-8pm OR Wednesday, March 27 from 10am-6pm for our open casting at Stephanie Bradshaw Studios: 1750 Union Ave, Suite A, Baltimore. 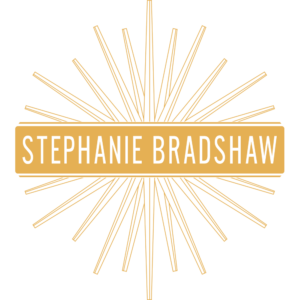 For more information studio@stephanie-bradshaw.com. House of Ruth Maryland leads the fight to end intimate partner violence against women and their children by confronting attitudes, behaviors and systems that perpetuate it, and by providing victims with the services necessary to rebuild their lives safely and free of fear. Since its founding in 1977, House of Ruth Maryland has helped more than 100,000 victims through its shelter, 24-hour hotline, counseling, outreach, training and legal services. Organization volunteers will be collecting select “Wish List” items on site. Urgent need items include: diapers in larger sizes (4,5,6), baby wipes, formula, bath towels, washcloths and twin size sheets. A full list is available at https://hruth.org/. Please consider donating to this very deserving organization! General Guest Parking: Event parking is located at the Legg Mason Tower/Four Seasons Hotel Baltimore garage, situated just off of President Street Circle in the heart of Harbor East. Entrances are located at 200 International Drive and 702 S. President Street. VIP Ticket Holders: Garage Parking for VIP & Front Row ticket holders is included as part of your ticket package. Garage parking is located in the Legg Mason Tower/Four Seasons Hotel (details above). You will receive a parking voucher when checking in at the Harbor East booth for the event. When leaving, enter your original parking ticket first followed by your parking voucher. Please note your voucher is only good at the exit gate (not the pre-paid kiosks). Harbor East’s FashionEASTa is brought to you by Harbor East Management Group and sponsored by Baltimore magazine and MIX 106.5, with styling provided by STEPHANIE BRADSHAW. Proudly supporting House of Ruth Maryland. The event is FREE and open to all. Be sure to follow us on Facebook, Instagram and Twitter for real-time updates!